Le VPN’s Android software app fully secures your phone. Smartphones are almost your world in your hand. You are connected to your family, friends, work, as well as the world at the tip of your finger. Millions of users download different types of apps from the internet. Many times, we fail to realize that we are sharing sensitive information, which is at risk of a hacking. Hence, it is utmost important that we take security steps at our end. VPN Android software is one such measure that offers you an encrypted connection for Android phones. Recently, news broke out that AI.type, a virtual keyboard app from Tel-Aviv, let out personal details of more than 30 million users. The data leakage was due to server security failure. Normally, we secure our personal computer or mobile with a password. But in AI.type case, the server was not secured with a password at time of leakage. According to the Kromtech Security Center, the instance only includes Android users. AI.type serves approximately 40 million users globally. AI.type helps in customization and personalization of on-screen keyboards of mobiles and tablets. This app is in use by millions of users. A VPN is a great measure to protect your online security. It is very much possible for hackers to detect my location IP. Once they know the IP detail, they can easily intrude my system and steal the data. Therefore, opting for a VPN Android software is a good decision. Le VPN Android software app ensures 100% security for Android mobile phones. 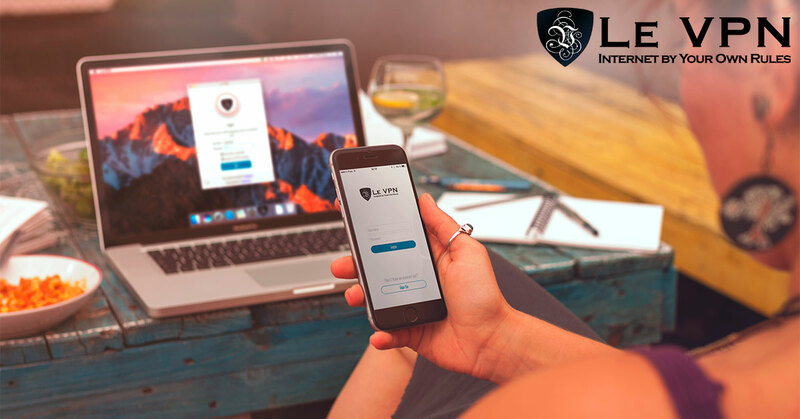 Once you start using Le VPN, you have an assurance that no hacker or eavesdropper can reach your data. Wondering why? Let’s now see how Le VPN’s Android software helps you. For better privacy and security, one may want to hide their IP address. You can hide your IP address by making use of VPN services. You hide your original IP with Le VPN’s IP address. As a result, your identity is kept a secret. This is possible even when you are browsing with a public Wifi at places like shopping malls, cafeteria, bus or railway stations, etc. When you use Le VPN, your system is hidden behind several VPN servers. This stops any intruders from reaching your valuable information. With a VPN router, you can secure all the IoT connected devices within your homes. This may include smart TV, smart lock, smart plugs, etc. Le VPN is compatible with all types of devices and operating systems. We offer apps for smartphones, which keep the user safe on the go as well. Le VPN’s Android software app encrypts the Internet connection of your handset. Therefore, you get the protection, no matter what is your location. You can simply protect your Android’s Internet connection in three simple steps. Firstly, turn on Le VPN app for Android. Secondly, connect to a server of your choice. And finally, you are ready to browse securely. Kindly be informed that Le VPN has VPN servers in 114 countries globally. And if you are a new user, you get 7-day free trial as well. So, subscribe today, and enjoy secured internet connection with Le VPN’s Android software.